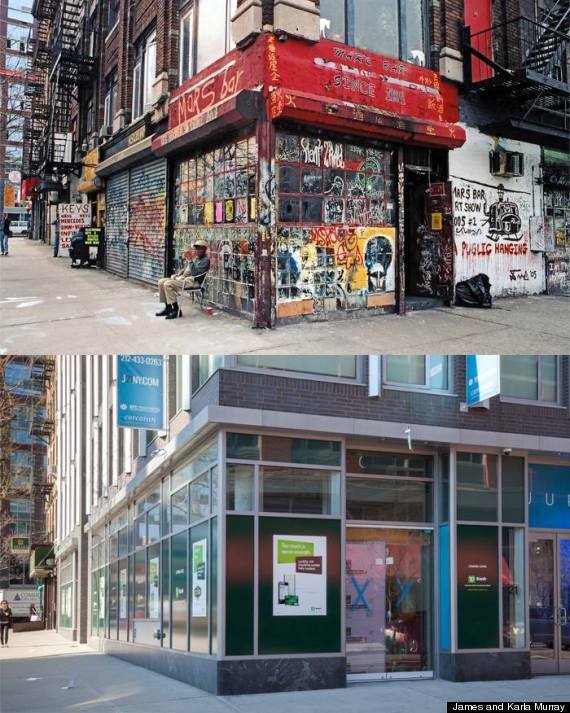 New York City has always been changing. But recently, the city has seen a wave of luxury condos and artisanal cupcake boutiques uproot local delis and dive bars. To make sure we don't forget the city's past, two New York-based photographers, James and Karla Murray, set out to document the city's transformation. 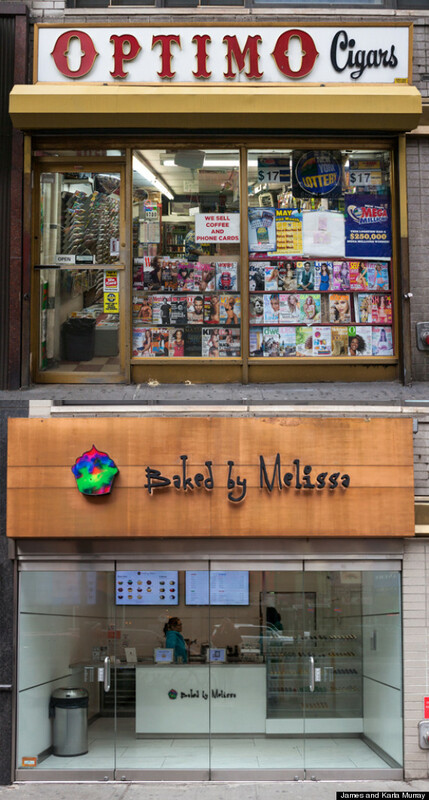 The result was a book, titled "Store Front: The Disappearing Face of New York," in which they photographed of mom-and-pop stores around the city. Now, they're returning to those original locations to see what stands in their place. 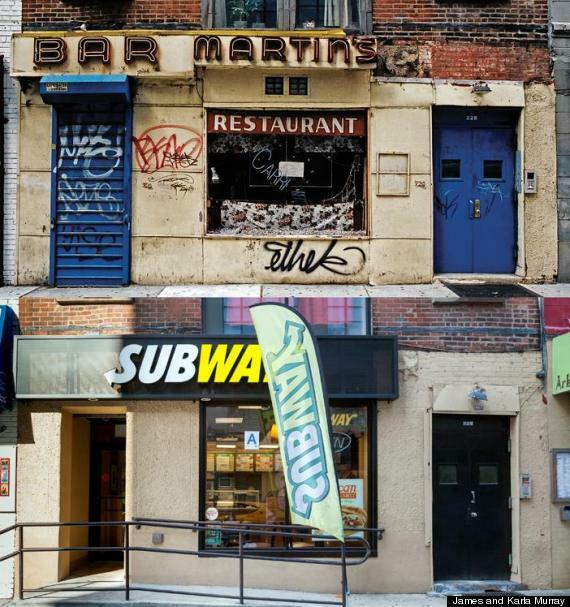 "We hope this glimpse will bring awareness to the unique character these small mom-and-pop businesses add to the streets and neighborhoods of New York City and the sense of community they provide," the Murrays, who have lived in the East Village for more than 20 years, wrote in an email to HuffPost. 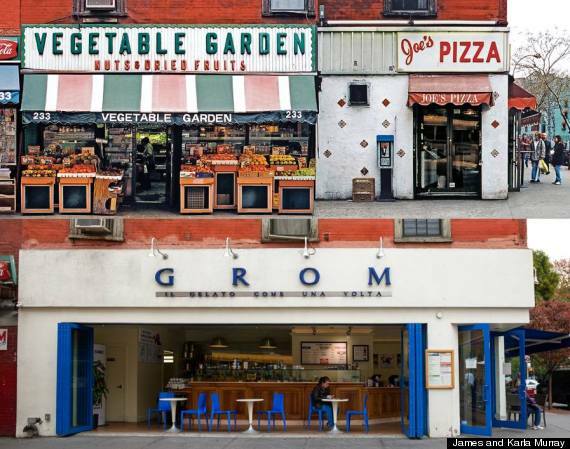 "These storefronts have the city's history etched into their facades. We also hope that viewers will frequent small businesses so that they will continue to survive for many more years." 2nd Ave Deli, a local fixture that opened in 1954 in the East Village, moved in 2006. Now there's a Chase bank there. 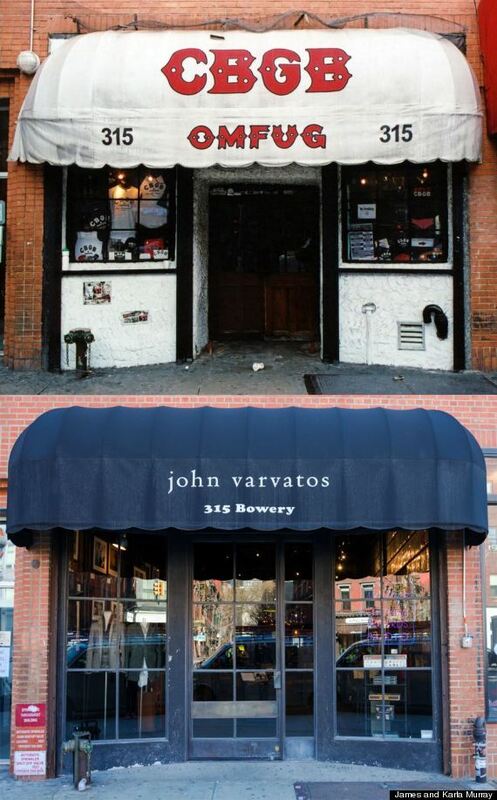 CBGB, an iconic music club on the Bowery, closed in 2006. Now there's a designer clothing store there. Mars Bar, a dive bar and "East Village institution," closed in 2011. A TD Bank rests in its place. Jade Mountain Restaurant, a popular East Village Chinese restaurant, opened in 1931 and closed in 2007. Now there's a Scottish pub there. Bar Martins, a local watering hole on West Houston Street in Greenwich Village, was a great place. Now $5 footlongs are there in its place. 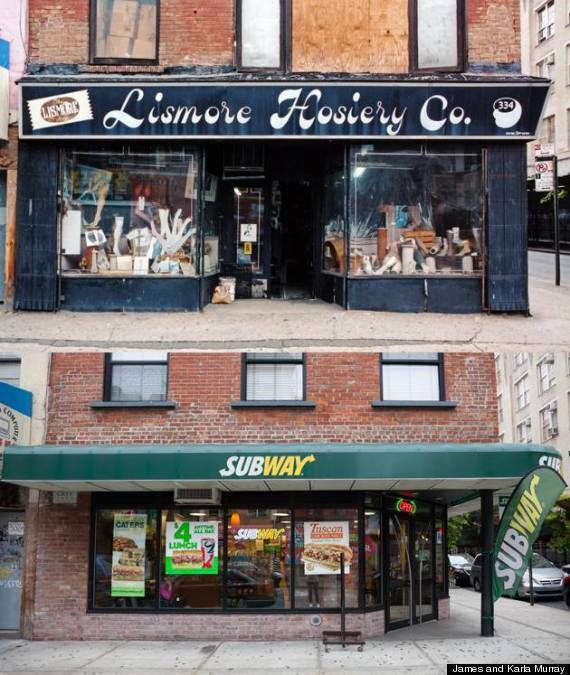 Another Subway stands at the corner of Grand Street and Ludlow Street, in place of Lismore Hosiery Co., a decades-old hosiery wholesaler. 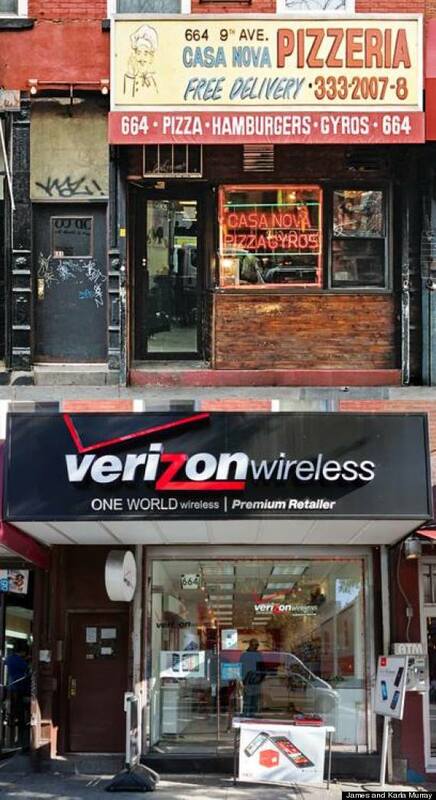 Casa Nova Pizzeria in Hell's Kitchen was replaced by a Verizon Wireless store. 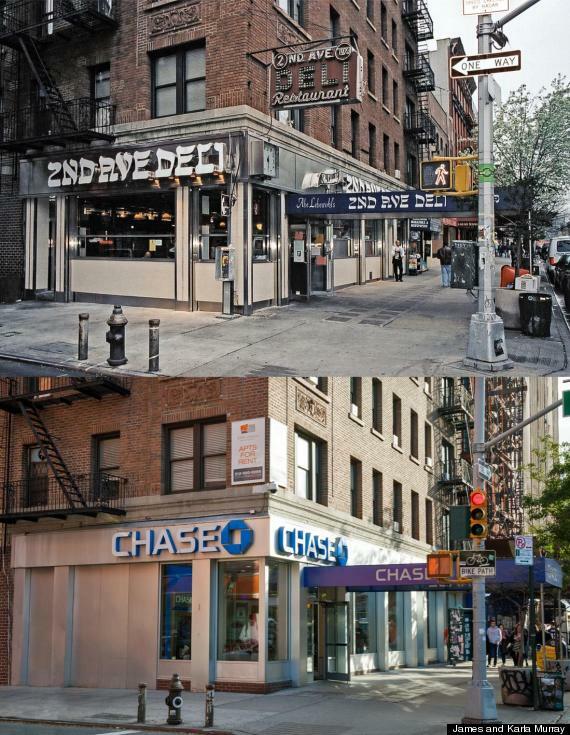 An independent grocery and pizza joint once stood at Bleecker Street and Carmine Street in Greenwich Village. Now, you can just get some upmarket gelato. 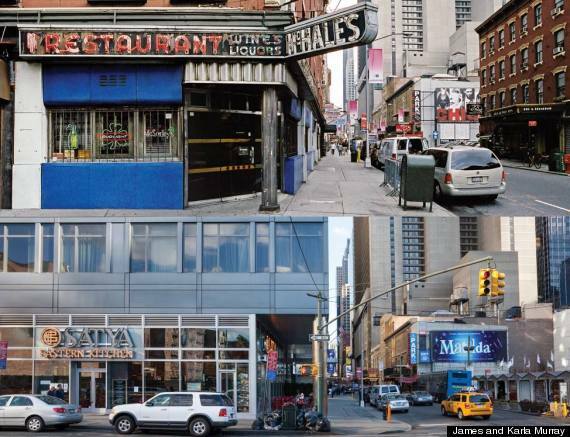 McHale's Restaurant, which opened on 46th Street in 1944 and stayed open for 62 years, was torn down and replaced by the "Platinum NYC" condo tower. And Optimo Cigars, a bodega in Union Square, has been replaced by a boutique cupcake store (of course).